From a small canoe launch on the Appomattox River to the 7,500 acres of Virginia’s largest state park, Pocahontas State Park, the Appomattox Loop offers opportunity to experience wildlife in a variety of habitats. Uplands and riparian woodlands, wetlands, lakes and ponds, and grassy openings provide the canvas on which to view heron rookeries, beaver lodges, grazing deer, and a myriad of migrant and nesting songbirds. 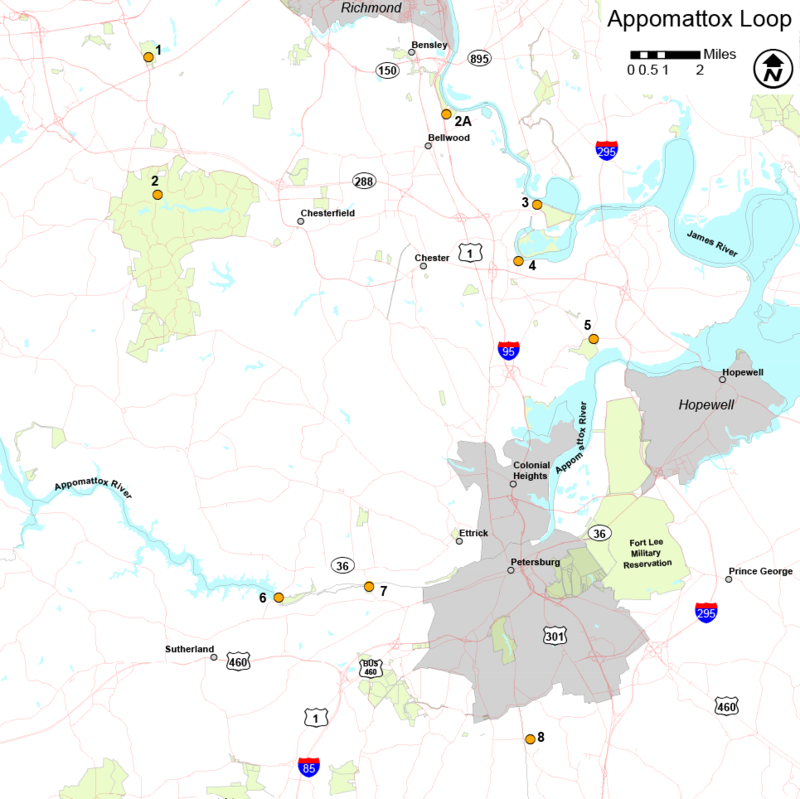 Nature centers and boardwalks that extend out into marsh overlooks, in addition to extensive trail systems, serve to increase the opportunities to access the Appomattox Loop’s natural resources.